The following text was written as an introduction to the proceedings of the annual conference of the Centre for Philosophy, Technology, and Social systems, an international and interdisciplinary research cooperation cofounded by Strijbos. 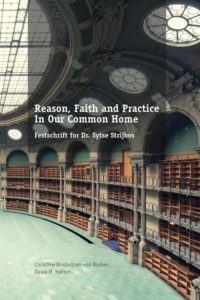 The chief motive for the inclusion of this text in this Dr. Sytse Strijbos Festschrift is to provide the reader with a short illustration of the kind of thinking that occupied Strijbos, and the research collaboration that he coestablished and governed. Figure 1 provides a schematic of an integrative vision, in which the lower part of the diagram represents “technology” and the upper part “society.” In everyday language, technology usually refers to material artifacts, such as a cell phone, car, or laptop. Usually, we are unaware that each of these artifacts is, for its functioning, dependent on a comprehensive system, for example, to use a car, a system of roads, petrol stations, legal regulations, and numerous other amenities required. Characteristic of modern science-based technology is that a fundamental transition has taken place in the relation between technology and society, namely, from technology that consists of separate artifacts in the hands of individuals to technology as a total environment in which we live. This new relationship between technology and society concerns the “how” or foundation of the various human and social practices in which our daily life unfolds. These practices have become dependent on their realization of organized “sociotechnical systems,” such as transportation from the mobility system, medical support from the health care system, and schooling and training from the educational system. The transition from a traditional to modern society thus goes along with a fundamental and irreversible change of our living environment. Technology has become a new habitat for people, a technotope. This fundamental transition to a modern technological world also has profound implications for the economic sphere of society and politics. Referring to Figure 1, one could observe that the sociotechnical systems that provide the foundation for societal life in its variety of practices also include the economic and political dimension, for example, the health care system. Since about the 1980s, the economy of health care has become a recurring matter of public debate. Notably, the traditional ethical relationship of medical practice between physician and patient has been dyadic. This situation has changed profoundly because this relationship is intertwined within a broader nexus in which several other parties are involved. This means, among other things for the physician, that their obligations to each patient must be balanced in a network of competing obligations and conflicting interests (see e.g. Haavi Morreim 1991). 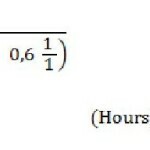 Let us now turn our attention to “society” at large, the upper part of Figure 1. Through the centuries, the household has been the fundamental building block of human society – within the household and family is where the exchange between the generations and their care for each other takes place. The fabric of society around the household has fundamentally changed since the rise of the Industrial Revolution. As long as the household as the fundamental unit of society persists, a broad range of human practices has gradually differentiated from the household, a process that began with the organization of labor and technical production in factories. The challenge for social change in a modernizing society can now be understood as the dual task of preserving the household as the ethical core of society and opening up the household and the potential of the various human practices for the benefit of society. This means that the shaping of the “how,” the technical-organizational foundation of society, should enable concretization of the specific “what” of each domain of human life along with the sustenance of healthy households in society. It is difficult to ignore that peoples’ behavior patterns vary among regions and distinct cultural backgrounds. The role of culture and religion is therefore a hotly debated topic, in particular, the debate related to the economic development of a society. In recent years, the debate has been triggered by the study Culture matters: How values shape human progress (2000), edited by Harrison and Huntington, and some later publications. 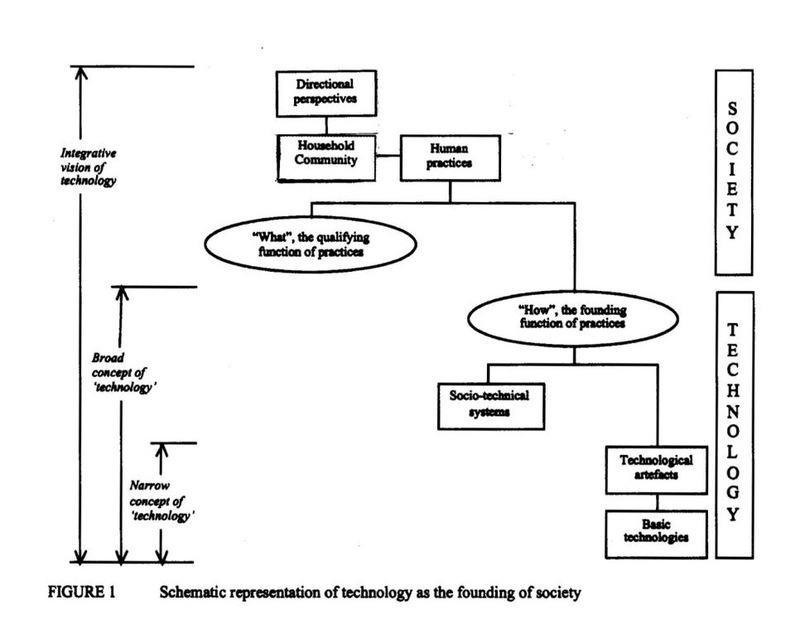 In the scheme of Figure 1, the role of culture and religion for the development of our technology-based societies is accounted for by “directional perspectives.” Traditionally, the household and local community play key roles in the transfer of basic cultural values, formation directional perspectives on human life, and communication about the world from one generation to the next. In a differentiated society, human practices must play a complementary role in the transfer of specific values, or echoing MacIntyre (1981: 178), in developing and maintaining the so-called “internal good”’ of these practices. Bauman, Zygmunt. (2000). Liquid modernity. Cambridge: Polity Press. Castells, Manuel and Cardoso, Gustavo, eds. (2005). The Network Society: From Knowledge to Policy. Washington, DC: Johns Hopkins Center for Transatlantic Relations. Haavi Morreim, E. Balancing Act: The New Medical Ethics of Medicine’s New Economics. (1991). Dordrecht: Kluwer. Harrison, Lawrence E and Huntington, Samuel P, eds. (2000). Culture Matters: How Values Shape Human Progress. New York: Basic Books. MacIntyre, Alasdair. (1981). After Virtue: A Study in Moral Theory. London: Duckworth. Strijbos, Sytse and Basden, Andrew, eds. (2006). In Search of an Integrative Vision for Technology: Interdisciplinary Studies in Information Systems. New York: Springer. 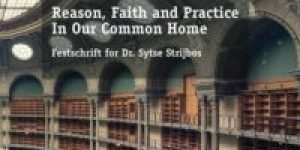 Van der Stoep, Jan and Strijbos, Sytse, eds. (2011). From Technology Transfer to Intercultural Development. Bloemfontein: SunMedia, Amsterdam: Rozenberg Publishers. What is 15 + 18 ?